Can a Film That Opens on a Tuesday Win the Weekend? The new remake of The Omen came out last week, on a Tuesday, which, for marketing purposes translated out to a release date of 6-6-06. For those Biblically uninitiated, 666 is the number of “The Beast”, or the Anti-Christ, a creature whom the whole darn plot of The Omen rests upon. 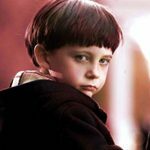 The day after it came out, there were stories all over the web how The Omen had opened strong, pulling in a record for a Tuesday opening, $12,633,666. Note the hundreds amount, I would think that that is more studio numbers massaging than anything, but it makes for great copy, I guess. The thing about it is, what if The Omen had been the top grossing movie of the week? It wasn’t, as Cars pulled in over $60 million, but what if it was? Is it fair, industry-wise, to have the top grossing movie of the week open on a Tuesday? If that was fair, why not open movies on Sundays? Then you’d have 7 whole days to rake in whatever you could make off of a film before having to report final earnings for the week. Why even wait for the usual Friday to open a film? What if Cars had opened on Sunday? Could they have pulled in $80 million? Maybe $100 million? Does this seem borderline unethical to anyone else? Share the post "Can a Film That Opens on a Tuesday Win the Weekend?"